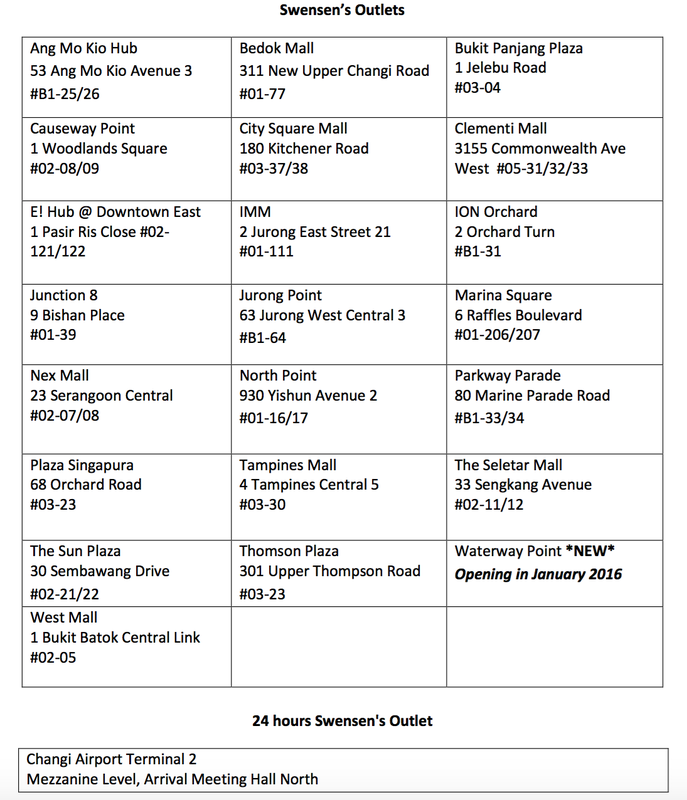 Swensen's Christmas Menu 2015, Joy On Our Little Dot | JACQSOWHAT: Food. Travel. Lifestyle. The Christmas main courses feature two dishes exclusively created for the months of November and December respectively, adding a festive spark in gatherings. In this month of November, you will find Chicken Istimewa $15.90. With an Asian twist, chicken laced with a mild spicy fragrant marinade that evokes the traditional culinary delicacy of Indonesia. The tender chicken is grilled to a slight crisp and served with achar, prawn cracker, steamed rice and an indulgent dollop of sambal belachan. This Asian cultured dish makes a hearty meal this Christmas. 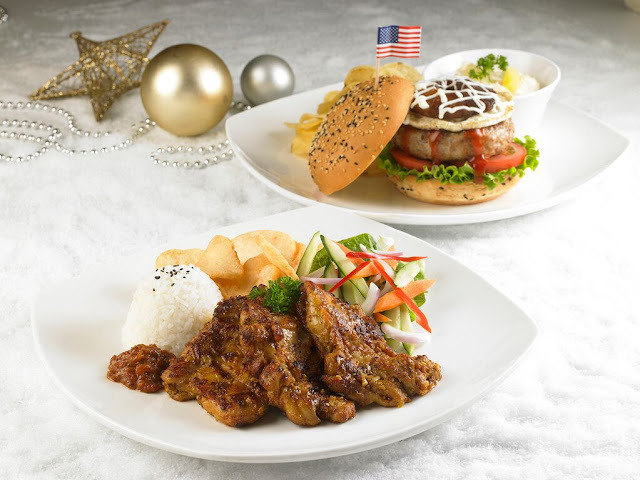 Where else in the month of December, you'll get Swensen's Turkey Burger $17.90. This american classic is done with a local twist, it is also Swensen's take on an upscale turkey Ramly Burger. This burger stack consist of a plump turkey patty, lettuce, sliced tomato, grilled pineapple and fried egg that is dunked in Gula melaka. Also, it is served with chips and coleslaw. I personally prefer the thick burger bun to be more compressed and moist, it's difficult to have when the bun is thicker than the patty. Overall a eat good, the best part is the juicy turkey patty - packed with flavour. This festive season, sweet tooth can enjoy three locally inspired ice-cream sundaes that is created with a nostalgic twist. 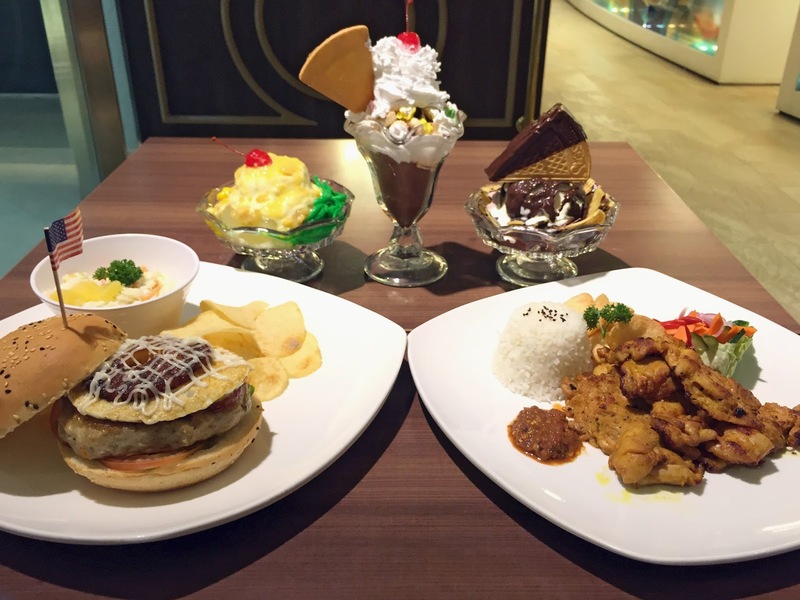 These desserts are paying homage to the Singaporean palette that is exclusively available in all Swensen's restaurants from now to 31st December 2015. One of the nostalgic offering is this, Sweet Corn Fever Forever $11.50. This sundae galore is made up of red bean, chendol, atap seeds and corn kernels. It is then topped with sweet corn ice cream and creamy corn sauce. This is definitely a true blue Singaporean dish - red bean, chendol, corn. This is going to be popular with kids, Child's Gem Delight $11.50. Does it look like a christmas tree to you? It is smothered in marshmallow sauce while the chocolate ice cream is whimsically embellished with colorful gem biscuits, topped with whipped cream and a cherry. Lastly, here we have is the Potong Supreme Pleaser $11.50. Sink your teeth into this traditional red bean Potong ice cream wafer, half dipped in chocolate magic shell. Interesting rendition here, my table voted this as one of the better ones among the three. Not forgetting the crinkle-cut chips combined with chocolate, a salty-sweet kind of taste in desserts makes this one enjoyable. What's christmas without log cakes right? This festive season, you can also enjoy Swensen's signature Ice Cream Log Cakes $58. Such as Red Velvety, Matcha Chocomallow, Honey Manukadamia, Sticky Chewy Chocolate etc. Exclusively for early birds, take a 20% off your ice cream log cakes from 1 Nov to 10 Dec 2015 for Cool Rewards members. Similarly, credit card members can receive 15% off ice cream log cakes. Missed the early bird window? 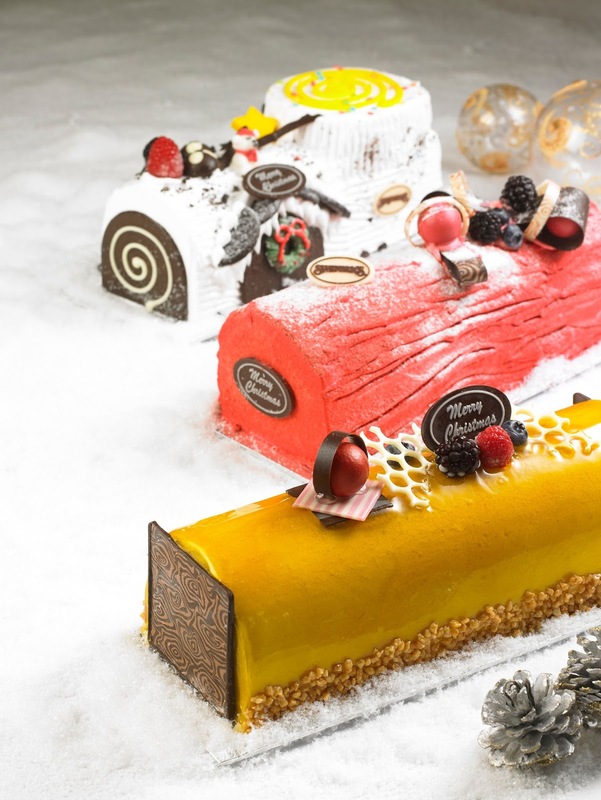 Credit/debit card can still get 10% off for log cakes from 11 Dec - 25 Dec 2015. Besides the above items mentioned, you can also bring a dash of Christmas spirit home with Swensen's latest christmas catalogue featuring a wide variety of mains, sides and ice cream log cakes. Orders for home delivery can be placed from 1 Nov to 17 December 2015, more details on their website. With that, have a wonderful christmas and happy holidays with Swensen's hearty roasts and ice cream log cakes! More of Swensen's outlets here.